That sweet crisp wind that is delighting us right now as we shake off the heat of summer has a habit of turning icy cold over the next few months. Along with trying to find the perfect pair of boots (don’t even get me started…), I’ve now added to my list of Fall to-dos–trying to find the perfect hat for the Peach. Oh. My word. Would you look at that? My search may be over. Who says you can’t have fun with you hat. Take that bit of childhood pretend play into real life. Like with this aviator hat. Or the “Sooper hero” hat. 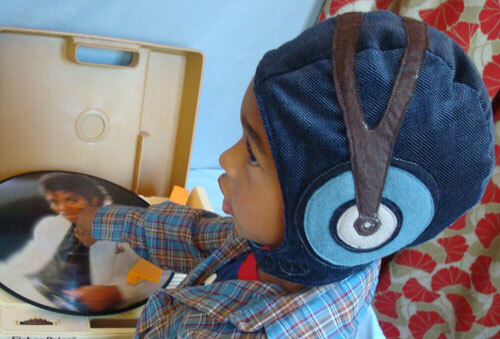 And check out the headphones hat. The wonderful wonderful headphones. After all, isn’t that what childhood is all about. Hurrah for fun clothes! A good hat makes you and the people around you smile. Thanks to these hats from Soil, I’m grinning from ear to ear. Tagged with aviator hat for kids, cool hats for kids, Etsy designer, etsy shop soil, felt hats for kids, headphone hat for kids, superhero hat for kids, vintage style flappers art deco hat for girls. Miss Dottie! Where do you come up with the most smashing wear for crumbsnatchers? 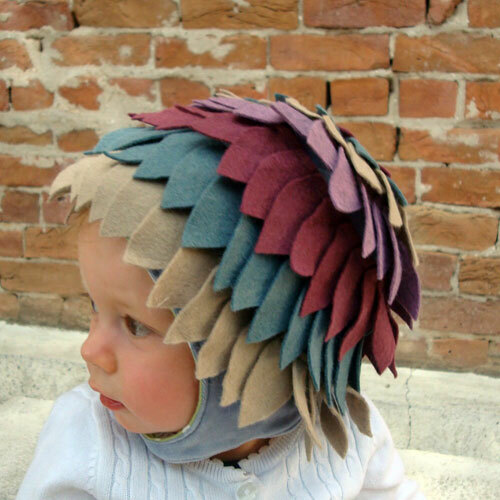 I so am buying one of those hats for my little niece Charlie. I love that I found the ModernKiddo blog. It makes my shopping sooo much easier. Bisou Bisou!! Magic! That’s how I find these goodies. Also, hours spent on Etsy, but that’s another story. It’s either that or cooking up some of the goodies from your site. Lady! How do you do all that baking and still look so fit and fantastic? And Amber, don’t think the MJ love didn’t impress me too! Tee hee! i gasped when i saw that one with the pretty flower! these are amazing!!!! what beauties! love them all! Heather, I am *this* close to getting the sorta 1920s style cap for the Peach! And Ally–I do hope you end up purchasing one. Kodie–that one with the big flower seems very Poppy perfect to me!